Common recurring themes at Garden Shows are how to make small gardens productive as well as beautiful. 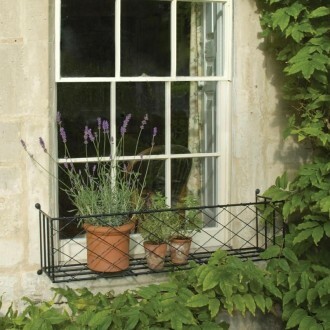 Our window boxes and circular planters will help you fulfil this requirement by allowing you to grow and display all of your herbs and vegetables in a very stylish yet practical way. The Window box will suit any style of property whilst the planters are large and weather proof, won’t rot like wood or crack like terracotta. What plants to grow? Why not try tumbling tomatoes in the window boxes and dwarf French beans in the planters? Et voila! Contact us on 01225 851577 or info@garden-requisites.co.uk for more details on the sizes available.